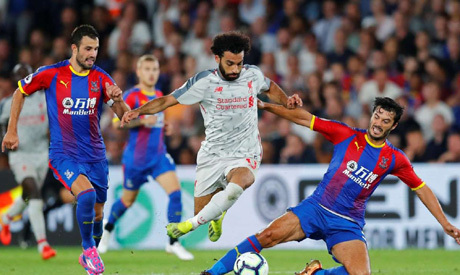 West Ham United have handed evidence to the police after completing an investigation into racist abuse shouted at Liverpool forward Mohamed Salah during their Premier League match at the London Stadium on Monday. A video emerged on social media in which audible racial slurs were directed at the 26-year-old Egypt international as he was taking a corner. The match finished in a 1-1 draw. The Metropolitan Police had told Reuters in an email that officers were in the process of reviewing the footage and West Ham said in a statement on Thursday that they had given all of their evidence to the police. “After a thorough and immediate investigation following the abhorrent racist abuse aimed at Liverpool striker Mohamed Salah on Monday night, West Ham United can confirm that it has handed evidence to the Metropolitan Police,” the statement said.